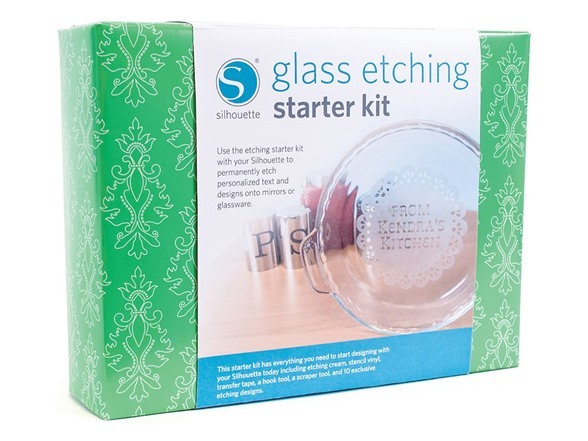 The glass etching starter kit makes it easy to permanently etch your own design and text onto glassware and mirrors. 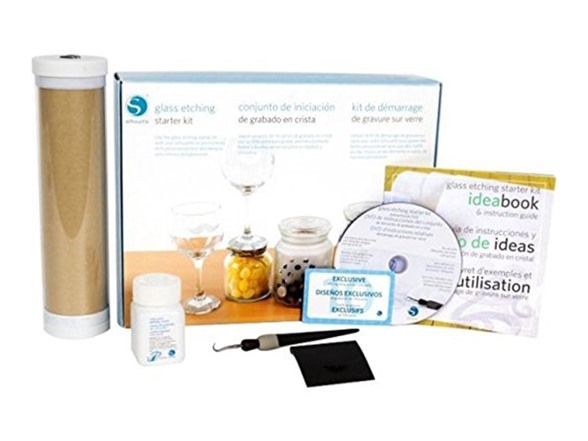 The kit includes everything you need to get started creating your own personalized projects, including etching cream, stencil vinyl, transfer tape, tools, and 10 exclusive designs. Etching Cream: 2 fl. oz.